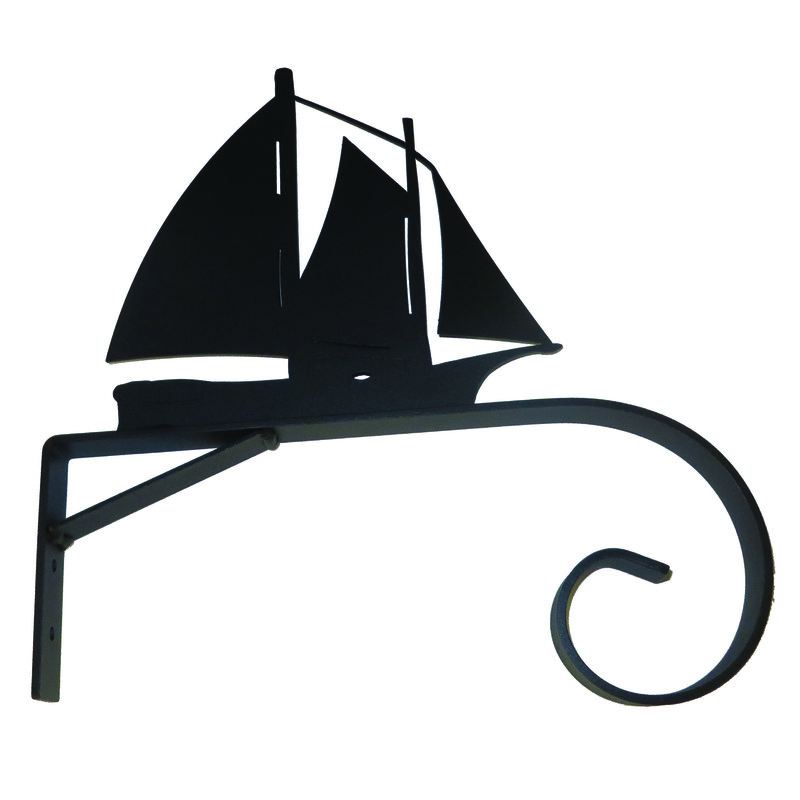 This 11" bracket has a nice sailing ship on top to accent one's nautical theme! It can hang your favorite plant or our wind bells! Complete with screws.